Annual General Magic – The 2016 AGM! 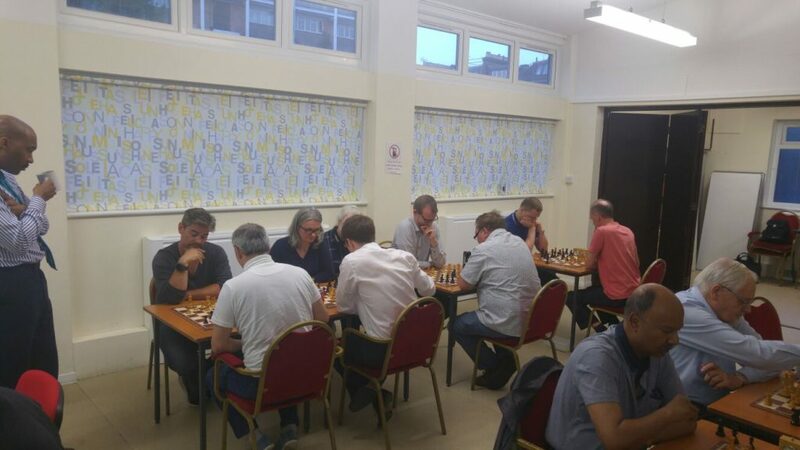 The 55th AGM of Hammersmith Chess Club took place last night, 6th June, at our home in Lytton Hall. 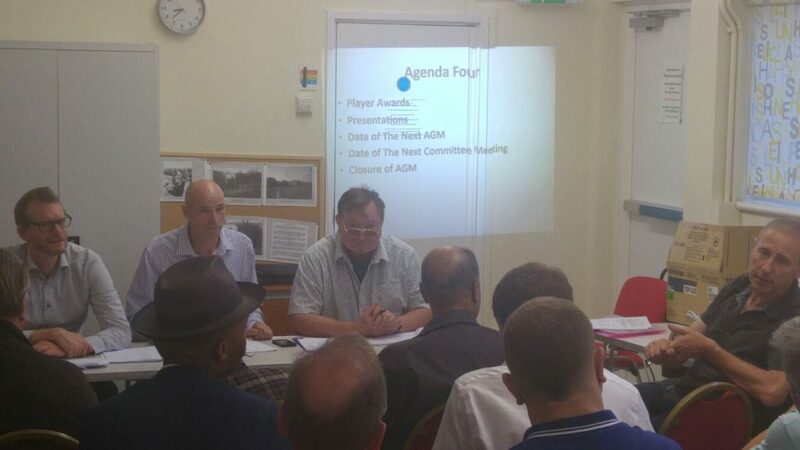 I think I can safely say it was the most important AGM since The Club was inaugurated back in 1962. The scent of change was in the air and with great respect to our proud history, The Club took a large step into the 21st Century last night. The Committee in full flow – Mike already has his holiday shirt & sunnies on! The adoption of a new constitution, the appointment of a new Committee and Team Captains, the meeting was presented with a concrete analysis of our financial position – with excellent cash flow projections and a sense that the club had a clear direction. This, coupled with the naming of our award winners and for the first time in our history the appointment of a different Captain for each individual team. The first time we have ditched multiple captaincy roles. 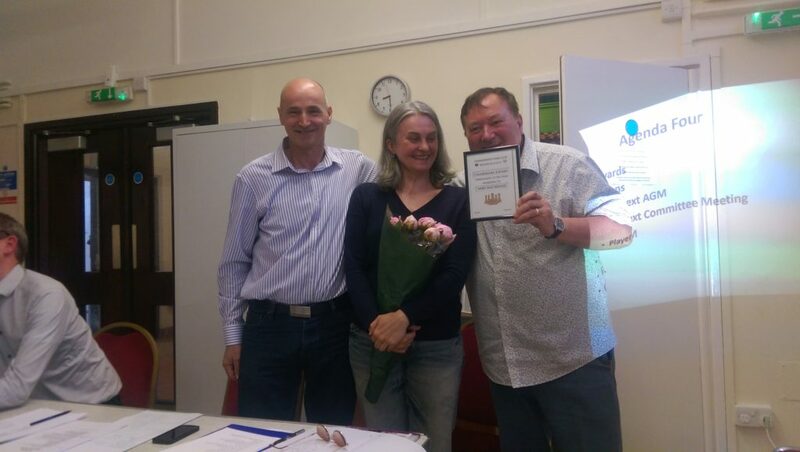 There was also a presentation to Anda for all her work in making the Wednesday nights at Hammersmith Library truly “Chess Night” – something we will and must replicate at the the other libraries in the Borough. The “Anda Method” is the way to go! Anda receives her special award for her fabulous efforts in the Library – thank you!! Our ever dependable and long-serving Secretary Mike Mackenzie was awarded “Personality of the Year” for all his work and commitment to The Club. Thank you Mike! Silence at the back of the room please!! 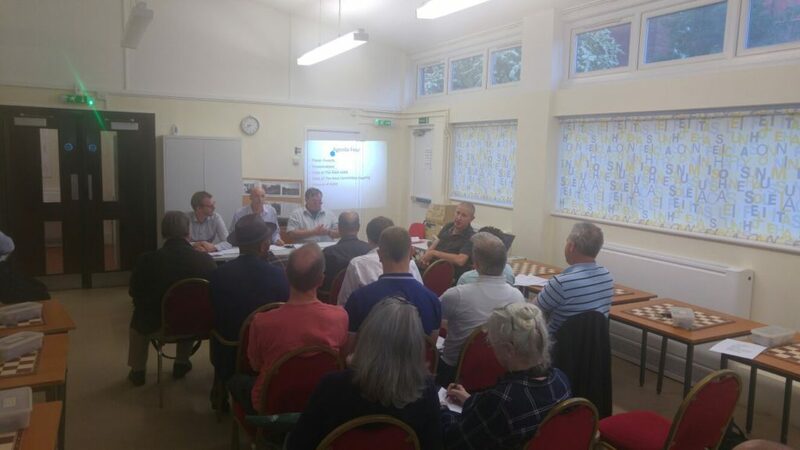 The meeting took 90 minutes to complete, with the distribution of reports to all members beforehand. With the serious business over, a 10 minute handicapped blitz tournament followed with 19 players involved. This was frenetic blitz at its best and worst – but huge fun. Once again our Chairman the Kosovan Wizard Bajrush triumphed against your correspondent in a final where I blew a winning position – as usual!! 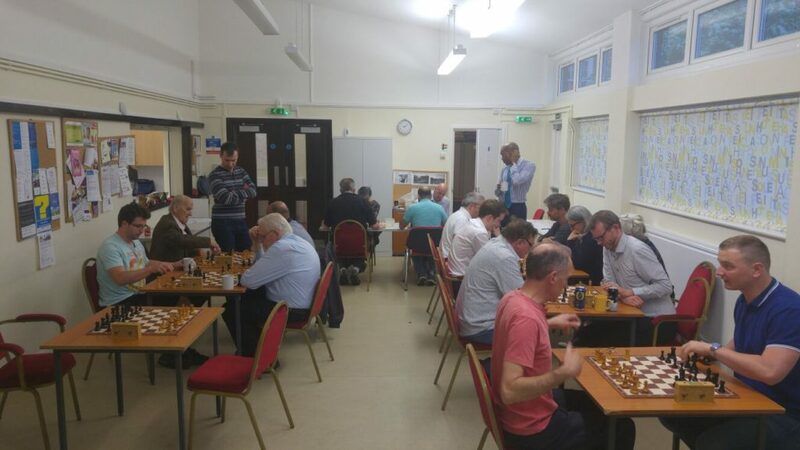 A fantastic turnout for the blitz tournament – 19 players took part in total! However it was only fair and right that the man who started the revolution and change in our club was the victor. 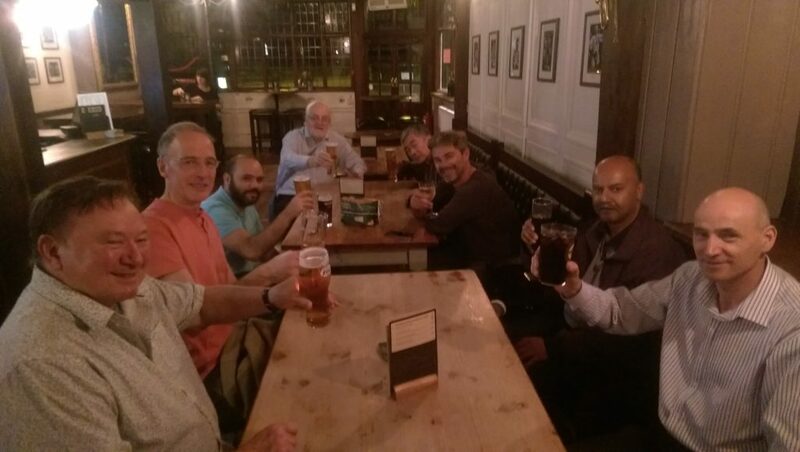 A great night was had by all and Bajrush treated the club to drinks, both soft and hard, with plenty of crisps and snacks. Maybe that’s the reason he won the blitz…. Rounding off the evening in the Albion! Thanks to all who attended! See you all at the Albion Pub next Monday as we relocate for the Summer months. Stay tuned for details of our Summer events. It is encouraging to belong to a club that is so positive, that welcomes new members of all abilities/genders/nationalities. It is the best club in London by a long shot and membership rates are very modest at around a £1 a week. Anyone reading this who is interested in chess should come along and experience friendly colleagues and good chess. Sad to have missed the AGM and blitz, sounds like great fun. I can only echo the comment above – I’ve just started coming recently, and everyone is very welcoming and, of course, keen for a game (or three) of chess. See you for some more in summer! Previous Previous post: King’s Gambit – Sheikh Style!